Another great find from recent weeks has been these illustrations of the trees in Kings Weston park from a book published in 1834. 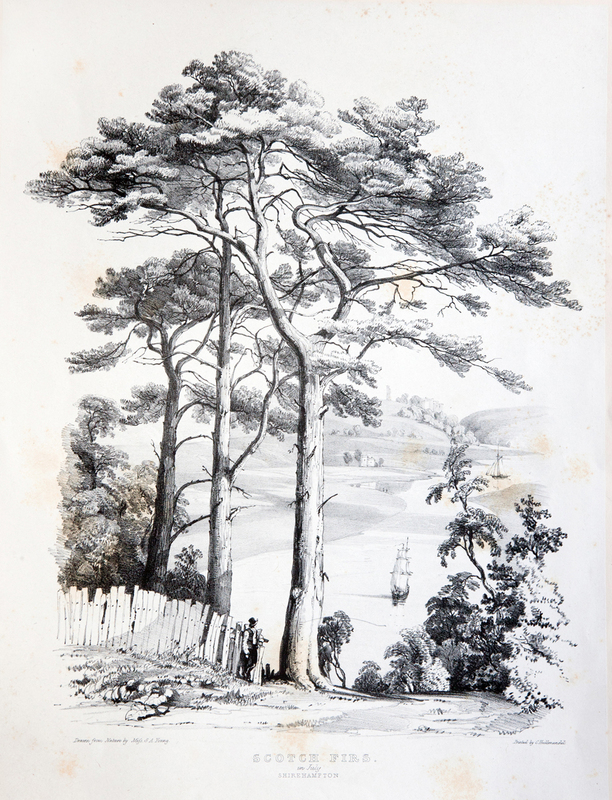 ‘Studies of trees with and without foliage” was a collection of 12 bound lithographic prints taken from life by Miss S A Young while she was convalescing in the Bristol. To pass the time she sketches the trees in Lord de Clifford’s park at Kings Weston at various times of the year. Many of the locations can still be identified for each of the trees and there is a high degree of accuracy in the illustrations. Sadly all of the trees have, as far as we know, long since died though we still have this beautiful record of the park in its heyday. The book is held in Bristol Central Library Local Studies collection and is free to view there on request, but you can see all of the plates in a new gallery on our website here. This entry was posted in Uncategorized on August 4, 2014 by David Martyn.